Meet at your group’s designated pick up location 30 minutes early. Arrive Atlantic City: Arrive at Caesars Casino (Remain on Bus until Greeter boards bus with vouchers) Bus will drop you off here and Casino Greeter will distribute your slot coin credit vouchers. All Guests must be at least 21 yrs old & sign up for Total Rewards card. Instructions for Return trip home will be given. Please write your exact departure time down below. Show tickets will also be distributed by SNE Greeter. Reminder, there are multiple SNE buses, each has its own specific departure time. Pre-Show Free Time: Your Choice Eat, Play, Enjoy! 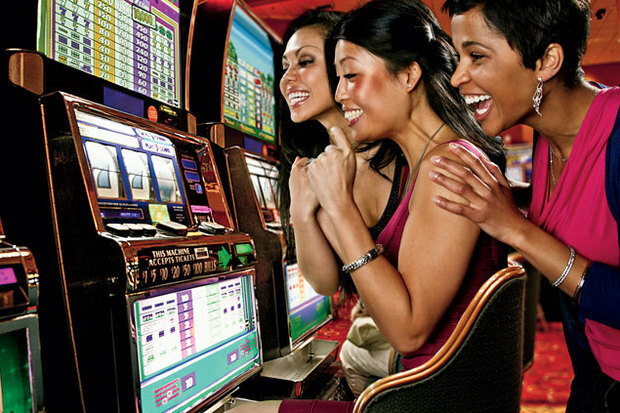 Take advantage of all Caesars has to offer; slots, tables, restaurants. 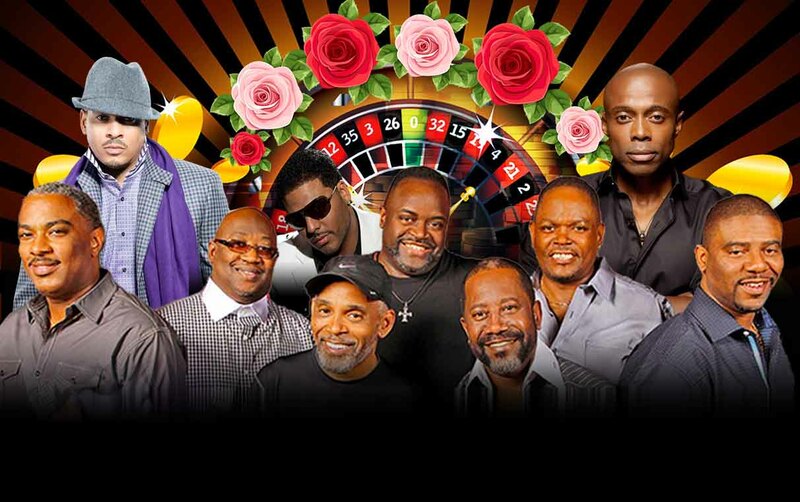 Mother's Day Music Festival at Boardwalk Hall: (Doors open at 7pm, show begins 8pm) Boardwalk Hall is just 2 or 3 blocks away from Caesars along the Atlantic City Boardwalk. Travel between casino and Boardwalk Hall is on your own. You can walk, use Jitney, or Rolling Boardwalk Cart at your own expense. Check your admission ticket for your seating assignment. Boardwalk Hall has strict bag policy refer to Event Information page or Boardwalk Hall website. After Show: Prepare to Meet Your Bus at Caesars Head back to original Casino bus dropped you off at and enjoy your final moments in AC! Last chance to try your luck at Casino or grab a quick bite to eat. 12:30 AM - 1:00 AM: Board Bus for Return Home 12:30am, 12:45am, 1:00am are the estimated time to depart for approximately 8+ hour stay. Caesars Greeter will confirm YOUR exact departure time as it may be adjusted at time of arrival to casino. Be On Time, Please. The bus cannot wait for ANY late guests. Caesars Atlantic City Casino features more than 2,000 slot machines, including progressive and video poker in many denominations. Feel the excitement playing hot Atlantic City table games from Blackjack to Craps, all on the most thrilling gaming tables on the Atlantic City Boardwalk. So grab the dice, double down, or place your bet on red or black; there’s never a dull moment on the immense Caesars Atlantic City casino floor. Saturday departures are scheduled for between 10 AM - 12 Noon and pickup times may change to accommodate bus routes. You will receive final confirmation the week prior to the trip departure. 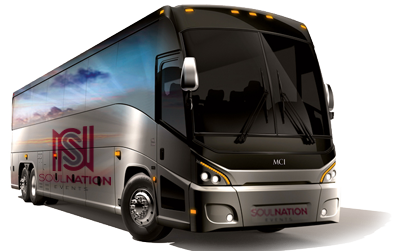 Also, buses will depart Atlantic City between 12:30 AM - 1:00 AM for return home.